I am especially rooting for Bruce (Hardboiled Collective member), Lori and Max. Good luck! After reading Skin Deep I immediately asked Timothy to join the Hardboiled Collective, the group of hardboiled writers. This was the first Timothy Hallinan novel I read and boy, did I like it. Simeon Grist is a nineties version of Philip Marlowe. I loved his wry, sarcastic voice! Hired by the men behind actor Toby Vane to keep him out of trouble he ends up in bed with a stripper. Not bad! Toby Vane likes beating up women and a stripper gets murdered. Very bad! Hallinan paints a great picture of the dark side of Hollywood with exciting, but 'real' characters. The ending is just fantastic! The way Grist deals with the villain in the end seems like something Noah Milano might even shy away from. Inventive and brutal. This is only one of four reissued Grist novels and I will be sure to read them all. In my quest to promote authors of hardboiled stories I've started a group of writers that promote other writers they like. 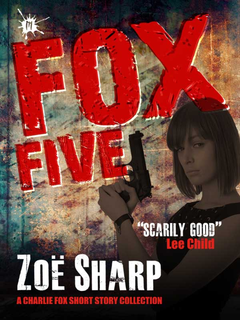 The first our group, The Hardboiled Collective, focuses on is Zoë Sharp and her e-book Fox Five. If you're a fan of Lee Child, Matt Hilton or love strong women you must read her books! 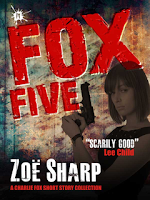 turned self-defence expert and bodyguard, Charlotte ‘Charlie’ Fox. past and murder in her heart. More comments from the Hardboiled Collective can be found here, here and here and here as well. I interviewed Jude Hardin, author of Pocket-47. Q: What makes Nicholas Colt different from other (unofficial) PIs? He’s a former rock star and the sole survivor of a plane crash that killed his wife and baby daughter and all the members of his band. That gives him a unique worldview, I think. Honestly, I just gave him a name and he sort of evolved from there. He turned out to be a badass with a wry sense of humor and a fat emotional hole. Q: What's next for you and Colt? I recently turned the second book in to my agent. I’m sure she’ll have some editorial comments and suggestions and we’ll probably go back and forth on a rewrite or two. Then she’ll start pitching the manuscript around New York. I've done some guest blogs and some bookstore signings, and I've been active on Kindleboards and Facebook. I've done some giveaways, I frequently leave a link when I comment on other blogs, and I recently posted a guest column for Chuck Sambuchino (one of the editors for Writer's Digest magazine) on his Guide to Literary Agents blog. Pocket-47 received a starred review in Publisher’s Weekly, and I link to that whenever possible as well. Pocket-47 started out as a book called The Kill Switch. I landed an agent with it, and he pitched it around New York without success. I did a major overhaul on the plot and the character, and the result was Pocket-47. The same agent tried to sell the new version, but it was 2008 and the economy was collapsing and the market got tighter than ever. I finally decided to go it on my own, and I ended up placing it at a small press. Ebooks are the future of publishing. No doubt about it. I got a Kindle for Christmas last year, and I haven’t bought a dead tree book since. They’re fun, and useful, and I guess I could go into a whole Freudian analysis about them, but I’ll leave that to the scholars. I like them, but I think they sometimes steal the show from the main character. Colt does what he does alone, and that’s the way he likes it. I think those writers will continue to be huge influences, and also writers like Loren D. Estleman, Andrew Vachss, and Lawrence Block. Who knows? Maybe someone will read one of my books and then decide to write their own private eye novel. 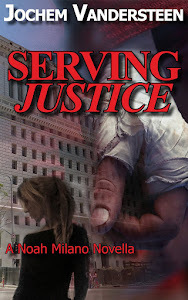 Q: Terry Faherty came up with the following question: Is there a future for the PI subgenre in the face of the current competition from cozy mysteries and police procedurals/crime scene investigation procedurals? Sure. Like I said, ebooks are the future of publishing. Ebooks come with unlimited shelf space. There’s room for everybody. What kind of car does your character drive? You can find my answer in the first chapter of Pocket-47. One person who leaves the correct answer in the comments section here will be selected at random to win his or her choice of the hardcover or ebook. Hardcover winners must have a mailing address in the U.S. or Canada. Good luck! Joe Hunter, Matt Hilton's vigilante is back again. This time he takes on a bunch of neo-nazi's in a plot that is more relevant than ever after the dreadful events in Sweden. As always the action is fast and furious but there's some elements that make this latest Hunter-adventure one of the best. There are more plot twists, making sure you get a few surprises (Jeffrey) Deaver-style. Also, the subplot of how Arrowsake, the organisation that birthed Hunter, has gotten corrupted is very interesting. We see Hunter struggle with his morals, an element that also fuels my Noah Milano stories. There's a fantastic review of Tough As Leather on Wayne Dundee's blog. If you like PI-fiction and you haven't read Wayne's books and stories you're missing out on some fantastic work. Head over here to see what you've got to read up on. New Noah Milano short story on Kindle - special offer! A brand new Noah Milano short story is available at Amazon.com for not even a buck: Honey Trap! When a chemist in the perfume industry gets blackmailed by a blonde wearing a honeybee tattoo he calls in the help of Noah Milano, security specialist and ex-mob fixer. The blackmailers won't give up very easily, forcing Noah to resort to some extreme, but unexpected measures. As a SPECIAL OFFER everyone who e-mails me the last line of the story get a free Noah Milano short story not available anywhere else in their email box. This time we interview Steve Ulfelder, author of Purgatory Chasm. Q: What makes Conway Sax different from other (unofficial) PIs? There’s his backstory, of course; Conway is a once-promising NASCAR driver who drank away his big opportunity. Now a devoted member of an Alcoholics Anonymous group called the Barnburners, his cases – the series hook, essentially – is that he helps fellow Barnburners out of the jams that alcoholics get into. Believe it or not, the Barnburners came before Conway. I was regularly attending this AA meeting that featured many strong personalities, and it occurred to me they would make a good milieu for a detective series. (Not the most original idea, I know, but it apparently worked). Naturally, I needed a protagonist. I invented Conway Sax. His primary trait, I knew, had to be loyalty that bordered on fanaticism. Q: What's next for you and Sax? I’m finishing up revisions on Conway2 (sorry, no official title yet), which Minotaur Books will publish in May 2012. Then I jump right into Conway3! For the most part, I simply do all the things smart professionals advise me to do. I blog. (OK, I blog infrequently.) 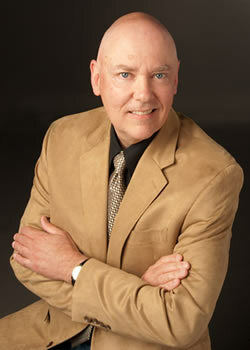 I’m on Twitter (@SteveUlfelder) and Facebook. I’m reasonably assertive about visiting all the bookstores in my area, signing stock, setting up my own events, etc. Because I race automobiles, I do have another avenue of promotion (see attached pic). I’ve got the book cover on the hood of my race car, and I’ve been featured in several US magazines devoted to racing. That’s a nice little edge that has definitely helped sales. As a reader, I use ebooks less than I thought I would. They’re OK for fiction, but I read a lot of history and biography, and hardcopy is far superior for books with a lot of notes, maps, illustrations, and so on. As a writer, I think ebooks are wonderful. I’m grateful anytime anybody reads my work – whether they buy it in hardcover, wait for paperback, download it, or get it from the library. Many writers want to dictate how readers read. That is, they want their work to be purchased at full price, preferably in hardcover, from an independent bookseller. Much as I love indies, this attitude is silly, as it places the writer at the center of the universe. Wrong! The CONSUMER, in this case the reader, is the center of the universe. And damn, it’s a great time to be a reader. “Psychotic” is a strong word, though I know exactly what you mean: sidekicks willing to do things the protagonist won’t do. I think such sidekicks are fine on several levels. They allow for some nice, dark vengeance to take place while the main character remains sympathetic. And they make for interesting explorations: How amoral or savage can a character be and still be likeable? How clean can Spenser’s conscience be if he knows full well Hawk is killing a man in cold blood – at Spenser’s behest? The line we walk as writers of hard-boiled crime is: a bad man trying to be good versus a good man who does bad things. In the Conway books, I twist the hero-sidekick relationship. Conway Sax has a pretty heavy background. He has served time for Manslaughter, and there are hints that this was not the only time he killed. His sidekick, an Iraq War veteran named Randall Swale, actually serves as Conway’s conscience. He reins him in, tries to keep him at least somewhat on the straight and narrow. I would add Robert Crais’ Elvis Cole to that list; he seemed the clear successor to Spenser. And I suppose my overall answer is “All of the above.” The best series writers are almost uniformly students of the genre; that’s why it’s so fun to speak with them – they REALLY know what they’re talking about. Lee Child is influencing crime writers now, and will continue to: In the Jack Reacher books, he’s overlaid a mystery-series hero on the thriller template, which for the most part used to be dominated by stand-alones. You see many writers trying this. And then there’s Sophie Littlefield, who’s doing a brilliant job with Stella Hardesty, a dark-but-likeable protagonist who is (obviously) a woman. Sure there is! I’m a naïve optimist; I believe that if you come up with a great set of characters and a compelling story, your book will find a market regardless of fluctuating tastes. The question: How long will you continue to write your series? My answer: As long as the checks clear! Actually, I do have a serious answer. One of the nice things that’s happened lately is that writers have more leeway to take a break from their series. Lehane, Harlan Coben, Michael Connelly and Crais are all examples. If, after writing 5 or 6 Conway books, I feel the need to try something different, I’m grateful to these bestsellers for showing that you can do so – and return to your series, recharged, when the time is right. Thomas Kaufman's follow up to PWA First Private Eye Novel winning Drinking the Tea is a bit more conventional but certainly as enjoyable. Likable Washington PI Willis Gidney returns. When he finds an abandoned baby at a murder scene he decides to adopt her. The Adoptive Services are opposed to this, so he sets out to hire an expensive lawyer. To cover those costs he takes on a job that's not entirely legal, breaking into a warehouse. Kaufman shows off his knowledge of the movie world with the important plot point of a breakthrough in movie piracy and a few movie business supporting characters. The style is pretty breezy, sometimes a bit too breezy as the way Gidney takes care of his enemies with a shovel and glue seems a bit too much Keystone Cops and too little Sam Spade. Gidney is a character you will root for, however and the mystery is satisfying. David Levien's work gets stronger every novel. PI Frank Behr is back, working for a private security company, having decided to get more steady work because his girlfriend is pregnant. On a executive protection job Frank is fired upon, motivating him to find out who took a shot at him and the man he was hired to protect. Gunning for them is a Welsh hitman, a great character that would have made this book a worthy read on his own. But we get more... There's sidekick Decker, a metal-loving cop and ex-Marine who's as tough as Behr but considerably younger, giving a very modern feeling to the ''classic'' hardboiled story. The best part of the novel is the writing though. The style could be compared to Michael Connelly's almost journalistic prose but even more hardboiled. 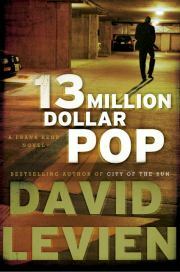 A definite contender for Sons of Spade's favorite PI novel of 2011.